Nestled in the heart of Quinta da Marinha, the most exclusive area of the village of Cascais, Sheraton Cascais Resort is the luxury answer for those looking to enjoy the best of what Europe’s West Coast has to offer. The area is well-known for schools, shopping, dining, recreation and a wide variety of cultural opportunities. The laid-back feel of this picturesque town is perfect for families seeking a chic, leisurely destination to unwind by the sea, without giving up all the comfort of a high-end retreat. Horse-riding by the beach, world-class surfing locations, some of Europe’s best golf courses and luxury yachts blend in perfectly with quaint picnics perched atop the cliffs of Cabo da Roca – Europe’s westernmost point – with sweeping views of the Atlantic Ocean, accompanied by a great bottle of Portuguese wine. Is Europe’s most trendy and year-round destination, a perfect place for families seeking a chic, leisurely destination to unwind by the sea, with the best golf courses in the world, Michelin star restaurants and some of the best international schools, universities, private hospitals and clinics. Casino Estoril, just 5 minutes from Cascais, has a reputation as Europe’s biggest Casino. During World War II, was a gathering space for spies and royals, and inspired James Bond’s Casino Royale. Set just a kilometer away from world-renowned Guincho Beach, and three kilometres from the centre of Cascais and the Marina, its comprehensive access and transport network also means that Lisbon International Airport and the Portuguese capital are just 30 km away – a perfect location to enjoy the old-world charm of Lisbon as well as the UNESCO World Heritage sites of Sintra. The Residences at Sheraton Cascais Resort offer T3 and T4 units in an award-winning resort, perfect for leisurely family living. With gracious living spaces, gourmet kitchens and the world-famous Sheraton service, these are the first Residences of their kind in Quinta da Marinha, offering unparalleled comfort in one of Portugal's most sought-after destinations. Having won the prize of safest Resort in Portugal for two years in a row, Sheraton Cascais Resort offers unrivalled security and privacy. Managed and Branded by Sheraton, The Suites and The Residences are part of Marriott International - the biggest hotel chain in the world. Providing a professional, trustworthy, reliable and valuable management expertise to guarantee a high-level of service and memorable experiences. An ideal holiday home option, generate a return on your investment when you are not using your home by renting it via the Sheraton Cascais Resort, to maximise the return on your investment. A fantastic real-estate investment opportunity with a guaranteed annual return, for a minimum period of 5 years - with renewal options - ideal for retirement planning. With an approximate area of 182m2, the 3-Bedroom Residences are perfect for luxury family living. Spacious areas fill with natural light, and the unit includes a hall, kitchen, suite, bedrooms, closet, multiple balconies which extend the living areas outdoors and ample living and dining room. The 4-Bedroom Residences provide a unique investment opportunity, and are the perfect place to live in with the safety of a gated area and access to all Resort services. Built to the highest standards with an elegant and modern design, the 4-Bedroom Residences have gracious living spaces filled with natural light, and are thought through to the finest detail. Serenity - The Art of Well Being is located at Sheraton Cascais Resort, allowing guests to access the full range of treatment and wellness options. A fitness centre is also available on the premises. Sheraton Cascais Resort’s partnership with one of Portugal’s leading private health institutions, with Hospitals and clinics throughout the country, allows access and special benefits in their private hospitals and clinics and other associated health insitutions. 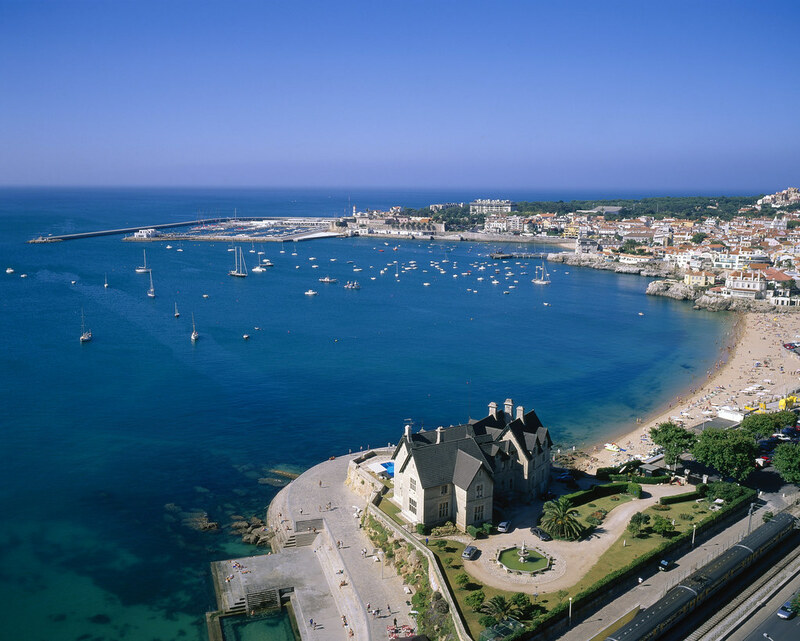 The Cascais Yacht Club is one of the most prestigious in the country. Enjoy members’ access to their facilities, as well as exclusive benefits at their partner Yacht Clubs around the world, such as the Yacht Club Monaco or the Royal Hong Kong Yacht Club. Enjoy exclusive access to some of the best golf courses in the world, with exclusive membership enjoying all members’ benefits, including preferred tee-off times. Protocol with an European Leading International school allows Sheraton Cascais Resort to provide the introduction visit to the institution and assisting the admission process. Preferred member rates and access to the tennis and racket club within walking distance of the Resort ensure preferential treatment in one of the best and most exclusive clubs in the region. The Suites and The Residences are eligible for the portuguese Golden Visa Program by purchasing a Real Estate Property with a minimum investment value of 500.000 euros. The Golden Visa provides a residence permit linked to an investment activity in Portugal and travel without restrictions within the Schengen area. The Non-Habitual Resident Tax Regime was designed to permit individual investors the opportunity to benefit from an attractive tax regime reducing personal income tax, under special conditions, including tax exemptions on pensions. Brunch is back on Sundays! One of the greatest perks of living at The Residences at Sheraton Cascais Resort, is that you get the full services and benefits of living in a world-class, award-winning resort. From valet parking to doorman service, a Concierge and 24-hour reception in a gated community with round the clock security, the highest quality of service and amenities will be part of your daily routine. Residents also have the option of enjoying daily housekeeping service, room service, pool, spa and fitness areas. With access to the Resort’s services, The Suites and The Residences at Sheraton Cascais Resort offer guests in-room dining options, as well as housekeeping and access to all resort facilities. Restaurant reservations, flight bookings, transfer services and the power of the Concierge are at the guests’ full disposal - a dedicated line guarantees access to this service, allowing you to make the most of the destination with insider tips and personalized attention. Located near the finest golf courses in Portugal, the resort has a fine dining restaurant and bar, a wellness & beauty Serenity Spa, a health & fitness club and an outdoor swimming pool overlooking beautifully landscaped gardens. Evoking tranquillity and serenity, the rooms and suites are integrated within the beautiful surroundings and overlook the resort's lush green gardens. FREE HALF BOARD, includes breakfast and dinner daily. Breakfast and Daily Dinner at Glass Terrace (excluding beverages and from the Half Board Set Menu). To receive this discount, after choosing your dates, you must select Special Rates - Corporate/promo and enter the code D60. A light and airy restaurant with magnificent panoramic windows that offer views of the Resort’s gardens. An outside terrace connects with the gardens, offering a unique atmosphere, be it during the day with sunlight filling the restaurant, or with careful night-time illumination that perfectly sets the ambiance for an intimate dinner. The food is simple and true to the hotel’s roots; fish and seafood are aplenty, as an homage to the Atlantic coast. Open for breakfast from 7 a.m to 10.30 am; Lunch from 12.30 pm to 3.30 pm ; dinner from 7pm to 10.30 pm. Brunch available every Sunday from 12.30 pm to 16 pm. Special picnic with family, couple, or between friends, so you can escape the routine, relax and enjoy the surroundings of Cascais. Located near the outdoor pool. Get refreshed with the wide range of drinks that we have at your disposal, from natural juices to cocktails with and without alcohol. Also, perfect for a light and refreshing snack with choices between salads, pizzas and sandwiches. Serenity - The Art of Well Being at Sheraton Cascais Resort is dedicated to providing memorable experiences, perfect environments and alternative options that will improve our guest’s health and wellbeing. Open from 10 am to 8 pm. As a resident of Sheraton Cascais Resort, you'll have full access to the Spa & Fitness facilities, which include a hydrotherapy pool, sauna, hammam and a fully-equipped fitness center - open 24h/7. A wonderful space perfectly integrated with nature, appealing to the imagination of the youngest. Bicycle rental service available at Sheraton Cascais Resort. Available from 10 am to 7 pm. * Minimum of 5 participants and scheduling with 24h in advance. *This activity may be canceled due to weather conditions.